SPUDNow (Start Processing Useful Data) is the most advanced interactive project management software on the market – designed especially for people working in construction. SPUDNow gives you complete control of the 5 pillars of construction project management; Labour, Purchasing, Costings, Communication and Documentation. SPUD’s smartphone technology let’s your employee’s clock in and out with a selfie! Using the SPUDNow app on a smartphone (Android or IOS) your staff take a photo of themselves to clock in which records the time, location and image (confirming it’s them!). Repeat to clock out. You automatically get a lovely crisp time sheet showing name, location, date, start / finish time with total hours. And not only is exporting this info a piece of cake, we’ll even match the data structure to make importing a breeze! Our MorphoTablet 2s delivers the ultimate biometric time management solution and comes preloaded with SPUDNow software, allowing your work force to clock in and out with a fingerprint and pushes all clocking in/out data to your desktop. And because SPUDNow automatically collates important compliance reports, from ISO9001 Document Control and PQQ to Health & Safety complete with an audit trail, you get total peace of mind as part of the package. What’s more, SPUDNow automates the whole invoicing process – so no more tedious data entry and order-matching detective work! STOP DOING HARD LABOUR! 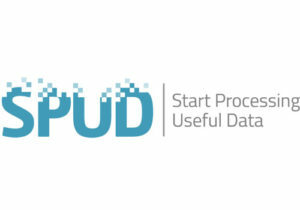 – Try SPUDNow free for 30 days and start processing useful data!